The Star Trek franchise kicked off their 25th anniversary with their fourth expansion: Victory is Life. In this expansion, players will be able to create formidable captains within the Jem’hadar faction, and will also face a level cap increase from 60 to 65. Within the franchise, fans have only experienced the world of Star Trek through the perspectives of the characters from the television series. 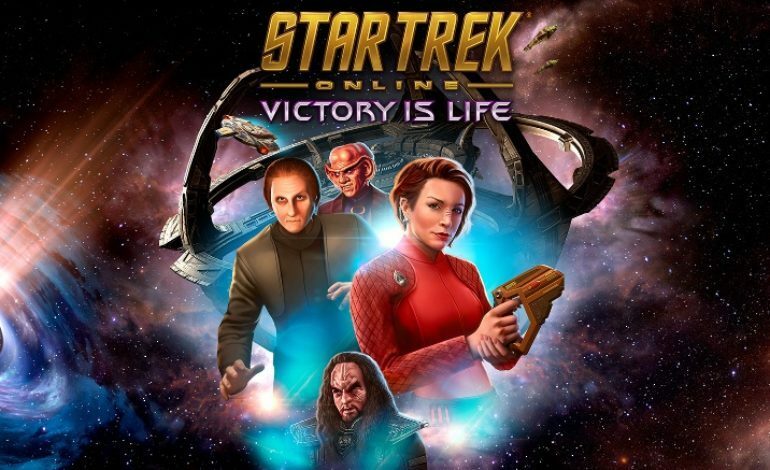 Players of Victory is Life will be able to live their life as a part of the Star Trek universe. And now with the addition of the Jem’hadar faction, they can anticipate a more genuine experience from the expansion. What’s really unique about this game is that players are not forced to be so cookie cutter. As captains, they will be granted the power to customize their avatar and even starship crew. So far, the game promises a dramatic plotline entirely geared by the choices a player will make, but not necessarily for the Jem’hadar faction that has been added to the fourth expansion, since players will be required to overcome the level cap increase. “This system provides challenges for captains to complete that will provide bonus personal and account wide rewards. This collection of fantastic content will put you in the boots of a Jem’Hadar…” as stated by Rocossa. Star Trek: Victory is Life expansion will be available for PC through either Steam and Microsoft late this summer. More details can be found on the website.